The Adventuress Tee is perfect for days spent on the trail on your next mountain expedition. 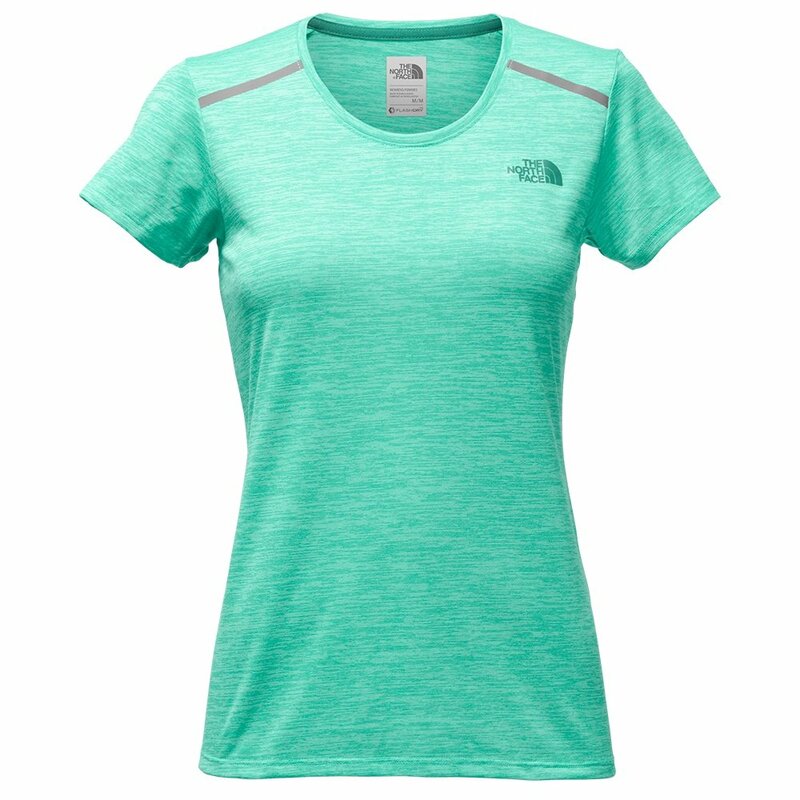 This The North Face Adventuress Tee Shirt is breathable and designed to pull sweat away from your skin, keeping you dry while you're out in the sun. And don't worry about throwing a few extra trail bars into your pack, because this sporty tee has reinforced shoulder seams to protect against the wear and tear of heavy backpack straps. The Adventuress Tee has a slim-cut fit and a drop hem in the back to keep you looking good even after back-to-back days on the trail.